Who does not love a good dip in the pool? It is one of the best leisurely activities that humans get to enjoy. Join us as AirPlay looks at 7 good reasons why you should have started swimming yesterday. Back in the day, swimming was considered to be a rather precarious activity. It was not until the concept of mouth to mouth resuscitation was born that swimming really took off in a leisurely sense. In our society today, it is more normal to see young children, adults, and even the elderly leading sedentary lifestyles. With the advent of information being so readily available, more and more people decided that staying in was better than going out and moving about. Swimming requires the use of arms and legs in constant motion. Even when you are just standing in chest height water, you will end up bouncing up and down most of the time. This is because your body is trying to stay balanced in an environment of slight weightlessness. Even if you do not take a wholly strenuous approach to swimming, you will still end up training your lungs and your breathing along with your extremities. When you are fairly consistent with your cardio workouts, your heart benefits from this greatly! When you build a routine that conditions your heart to expect regular workouts, you will lessen your risk for heart failure by around 45%. One of the things that often deter people from swimming is the fact that swimsuits are quite revealing. Not a lot of people are truly comfortable with exposing a lot of their physical attributes for the world to see. However, swimming is an activity wherein the facilities will require you to be dressed in a certain way. Swimming can help people be more comfortable in accepting their bodies. While swimming can help people lose weight and trim off some of the pounds, swimming is a great way to really build up self-esteem. Most people feel clumsy when on dry land. In the water, the weightlessness can really help unleash movement that would be otherwise hidden away. Most pool facilities come heated to protect users from the cold weather outside. The heat can really help to relax tense muscles. The water can help take strain away from joints that are usually pressured by weight. Swimming is the kind of low-impact sport that can help to promote flexibility especially when done consistently. The heat has been something else, right? With the whole concept of global warming the weather is going to be far more unpredictable. Summers are going to get hotter and electricity bills are going to get higher if this keeps up. It’s good then that swimming is a great alternative to staying indoors to stay cool. One of the best things about swimming is that it does not always have to occur outdoors. 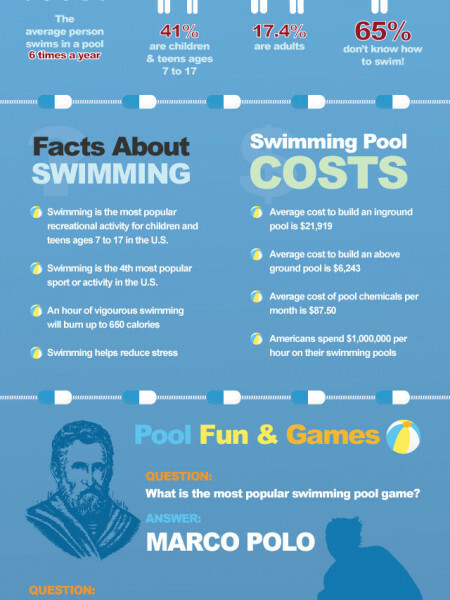 There are a lot of indoor pool facilities that can help keep the swimmers away from the harmful rays of the sun. This is one of the biggest draws for a majority of swimmers. When we asked a bunch of our readers as to why they do not participate in more physical activities, their answers were more or less the same. They do not like the idea of sweating. While it may sound like a flimsy excuse, this is actually a legitimate reason. There are people who have extremely sensitive skin. Sweat can aggravate the skin and rashes can break out. What is surprising is that chlorine and treated waters is not as harsh on sensitive skin. So if you are looking for a form of exercise that will not mess up your skin, swimming is a great option. When you think of summers, spending time at a pool with friends is often an ideal picture. If you had someone in your clique that was lucky enough to have a pool, it was fairly certain that most of the major social activities will be around that pool. Swimming can always be a great bonding experience for family members. Physical activity like the one that you do when you swim really helps keep your mind sharp. When you swim, it is important that your mind is on the task at hand. There is very little room for distraction when you need to keep an eye on your breathing and your movement. You need to be aware of where exactly in the pool you are at all times. This can help avoid any events of drowning or cramping. When you do physical exercises, you also improve your overall mood. This can help keep your outlook positive. Engaging in physical activities is a must that most people tend to ignore. There are a lot of reasons why it is difficult to start up a physical routine. However, if you take a look at the reasons we have listed above, you will realize that there are a LOT of good benefits waiting for you. Swimming is an activity that you can do alone or socially. Regardless of which path you choose, it does not take away from the fact that swimming can only really benefit you if you actively choose it. With this in mind, it is time to take a good look at why you are not swimming. Do they hold up against the reasons we have shared with you on why you should go swim?